Somehow I missed spring cleaning. And now summer is here and my house is still a mess. Everyone I talk to about this tells me that’s just the way it’s going to be until all of my kids are grown and out of the house, but I’m finding little ways to take control of the mess and keep my house as clean as is possible when you’re a work at home mom with a 13 month old crazy person. 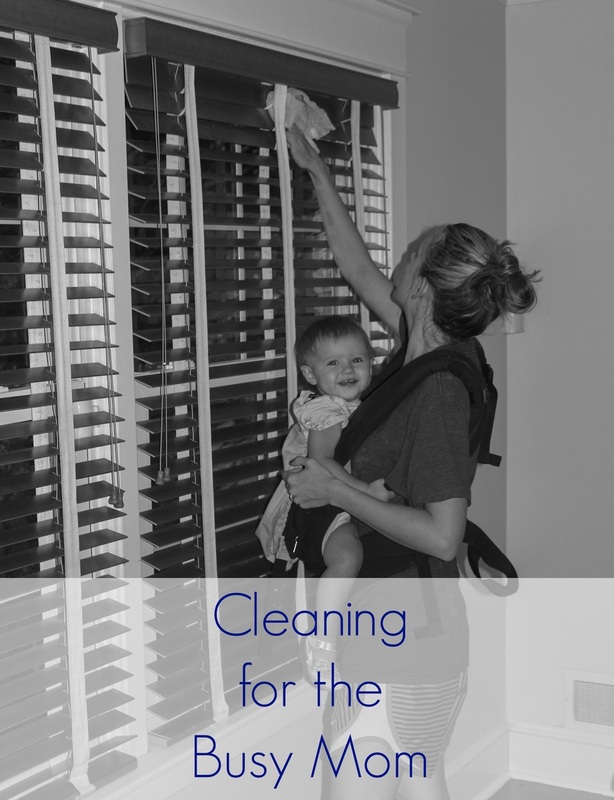 I’m still no cleaning expert, but I’ve found a few things that help that I’m going to share with you today, as well as a few tips for how to keep up with all the housework. Yep, sit down and make a monthly cleaning schedule at the beginning of each month. Say what things get cleaned which days so that you’re not spending a whole day cleaning. Pick one day a week to tackle a big project that doesn’t need to be done weekly, like the garage. Then also figure out which cleaning chores you can delegate to your spouse and older children. Go ahead and hang up this schedule somewhere that the whole family can see it and be reminded daily of what needs to be done. Basically I need any and all products that make cleaning quicker, easier, and more enjoyable. 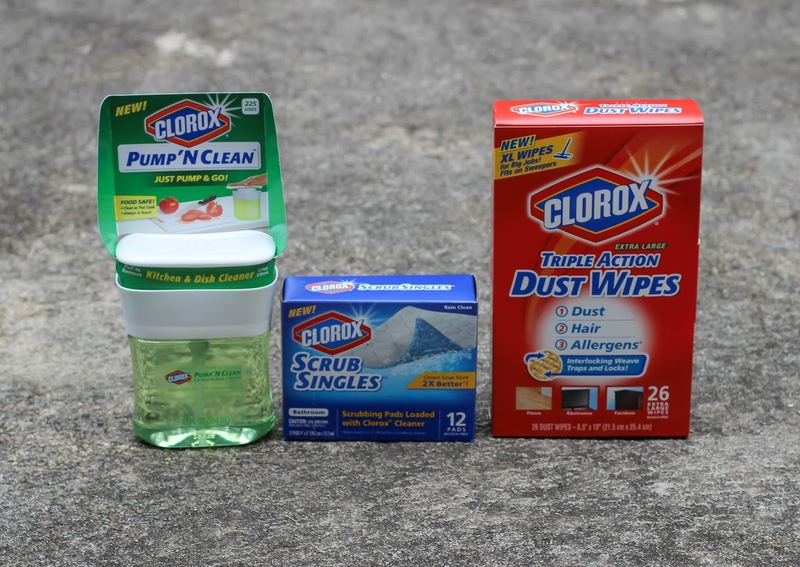 That’s where a few new products from Clorox have been making a big difference for everyday cleaning. 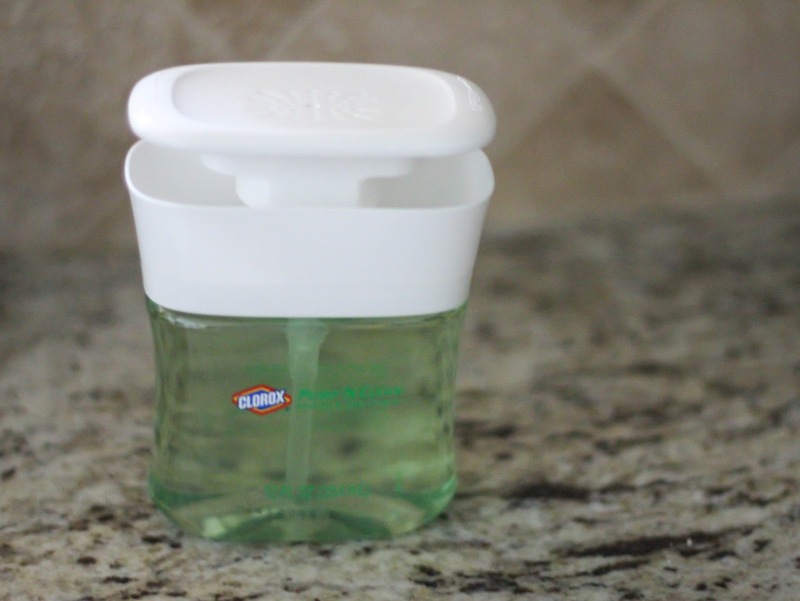 The Pump N’ Clean Kitchen and Dish Cleaner is doing big things for our kitchen. All you have to do is pump with a paper towel or sponge, and you can wipe down your counters, or clean some dishes you aren’t using, all while cooking dinner. The Clorox Triple Action Dust Wipes are amazing for the daily dusting that my husband especially always dreads. 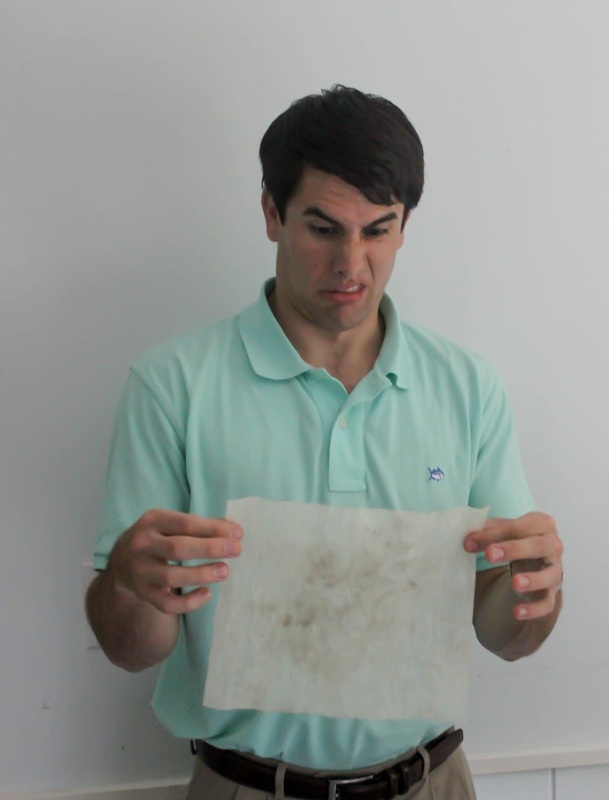 One wipe will clean an entire room, all you have to do is wipe and it grabs onto dust, hair, and allergens, and it will even fit on a standard size sweeper! It’s perfect for electronics, furniture, floors, pet hair, baseboards, blinds, walls, patio furniture, and whatever else you can think of. I was able to dust my blinds in just a few minutes which is unheard of! 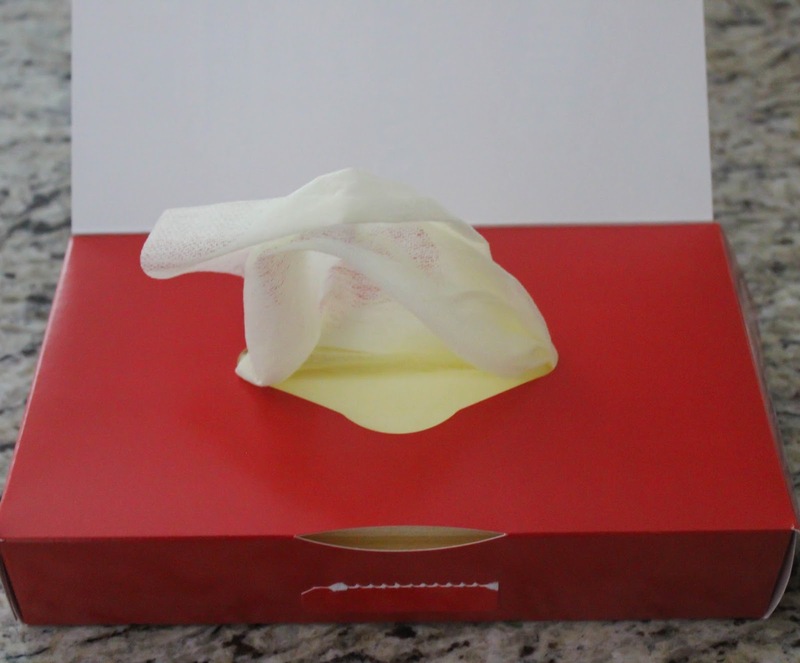 The Clorox Scrub Singles are little cleaning pads that come preloaded with Clorox cleaner. 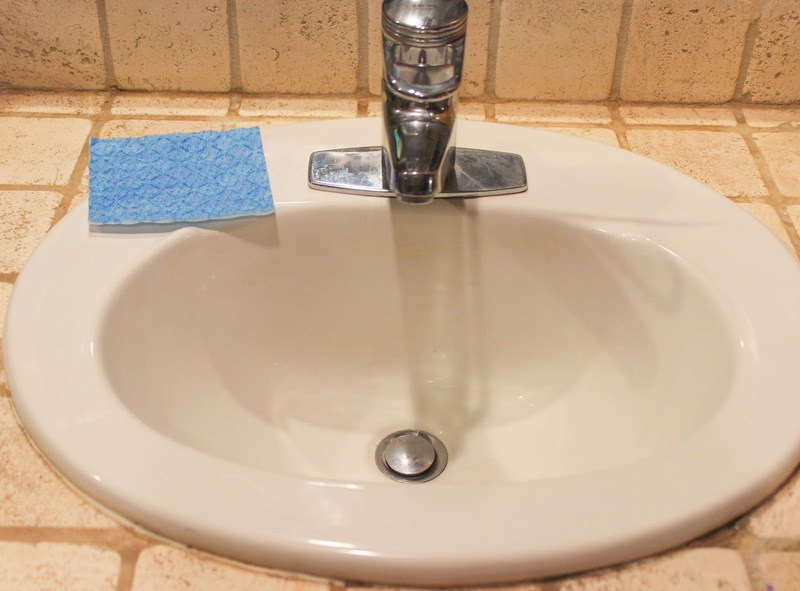 They feature a scrubbing surface that can power through soap scum and grime. It was even able to tackle the sink I do my makeup over that gets particularly grimy. Don’t find time to do your assigned cleaning for the day? Feeling too sick to clean? Want to spend quality time with your kids instead? Guess what – everyone is going to survive. Don’t stress too much. A clean house is important – I mean it is where you live, where your family makes memories, and you’re going to enjoy life better when your house is clean. But don’t stress trying to be super mom and get everything done. Take some nights off to enjoy your home and your family and make those memories, because without that what is the point of having a clean home? I find all the cleaning supplies I need at Target! From June 7th – July 4th receive 10% off Clorox products at Target using the Cartwheel app. It works on the Triple Action Dust Wipes, Scrub Singles and Pump ‘N Clean! 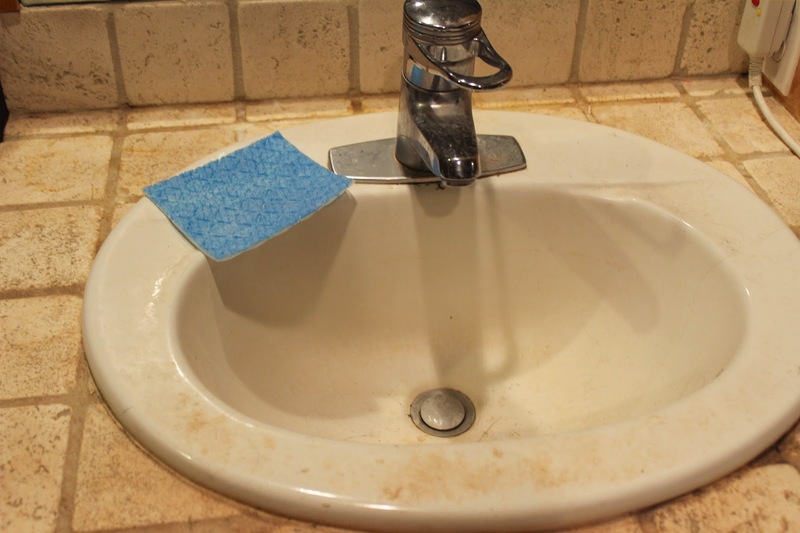 Now you tell me – what is your favorite cleaning trick? I'm all about the cleaning wipes since having my son. I have changed things up since having my son and try to use only organic/non toxic cleaners. If I don't have any I try not to spray anything. I stick to the wipes. Yes me too! No need for extra chemicals when it comes to dusting! I need to get some of those scrubbing singles and the pump STAT. I've been trying to do a little bit every night before bed, and so far my house at least appears to be a little bit cleaner. They have definitely been helping me! That picture of your husband…hilarious! I hate cleaning! With a passion…. so I booked a cleaner…. Otherwise I try do small things every day! Oooo, I need to get those dust wipes! They def make life easier! Yep typical man I guess! And yes it's the only way I can get any cleaning done! I love cleaning lol I am weird! You're welcome at my house anytime haha! Me too! I'm always stocking up!